Amphenol PCD Dust Cover D38999/33F11N D38999-33F11N , Nickel, Lanyard and Ring Clamp for D38999/26 Size B(11) Connector Receptacle. Amphenol PCD Dust Cover D38999/33F11R D38999-33F11R , Nickel, Lanyard and Ring Clamp for D38999/26 Size B(11) Connector Receptacle. Amphenol PCD Dust Cover D38999/33F13N D38999-33F13N , Nickel, Lanyard and Ring Clamp for D38999/26 Size C(13) Connector Receptacle. Amphenol PCD Dust Cover D38999/33F13R D38999-33F13R , Nickel, Lanyard and Ring Clamp for D38999/26 Size B(11) Connector Receptacle. 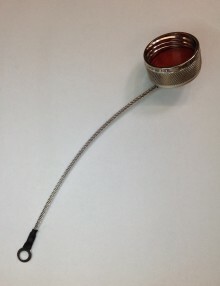 Amphenol PCD Dust Cover D38999/33F15N D38999-33F15N , Nickel, Lanyard and Ring Clamp for D38999/26 Size D(15) Connector Receptacle. Amphenol PCD Dust Cover D38999/33F15R D38999-33F15R , Nickel, Lanyard and Ring Clamp for D38999/26 Size B(11) Connector Receptacle. 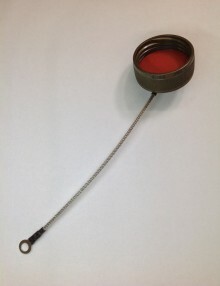 Amphenol PCD Dust Cover D38999/33W09N D38999-33W09N , Olive Drab, Lanyard and Ring Clamp for D38999/26 Size A(9) Connector Receptacle. Amphenol PCD Dust Cover D38999/33W11N D38999-33W11N , Olive Drab, Lanyard and Ring Clamp for D38999/26 Size B(11) Connector Receptacle. Amphenol PCD Dust Cover D38999/33W11R D38999-33W11R , Olive Drab, Lanyard and Ring Clamp for D38999/26 Size B(11) Connector Receptacle. Amphenol PCD Dust Cover D38999/33W13N D38999-33W13N , Olive Drab, Lanyard and Ring Clamp for D38999/26 Size C(13) Connector Receptacle. Amphenol PCD Dust Cover D38999/33W13R D38999-33W13R , Olive Drab, Lanyard and Ring Clamp for D38999/26 Size C(13) Connector Receptacle. Amphenol PCD Dust Cover D38999/33W15N D38999-33W15N , Olive Drab, Lanyard and Ring Clamp for D38999/26 Size D(15) Connector Receptacle. Amphenol PCD Dust Cover D38999/33W17N D38999-33W17N , Olive Drab, Lanyard and Ring Clamp for D38999/26 Size E(17) Connector Receptacle. Amphenol PCD Dust Cover D38999/33W17R D38999-33W17R , Olive Drab, Lanyard and Ring Clamp for D38999/26 Size E(17) Connector Receptacle. Amphenol PCD Dust Cover D38999/33W19N D38999-33W19N , Olive Drab, Lanyard and Ring Clamp for D38999/26 Size F(19) Connector Receptacle.